“Abrahadabra” sees Dimmu Borgir, never the most gifted band to begin with, in the latter stages of creative decay. After acrimoniously splitting with keyboardist Øyvind Sven Mustaparta (Mustis) and bass guitarist/clean vocalist Simen Hestnaes (ICS Vortex) the band reformulated itself as a trio. Where its post-“Spiritual Black Dimensions” output has been uneven at best this new record has the core trio charting new lows. It is the most turgid and belabored of all its Nuclear Blast Records releases available to date. 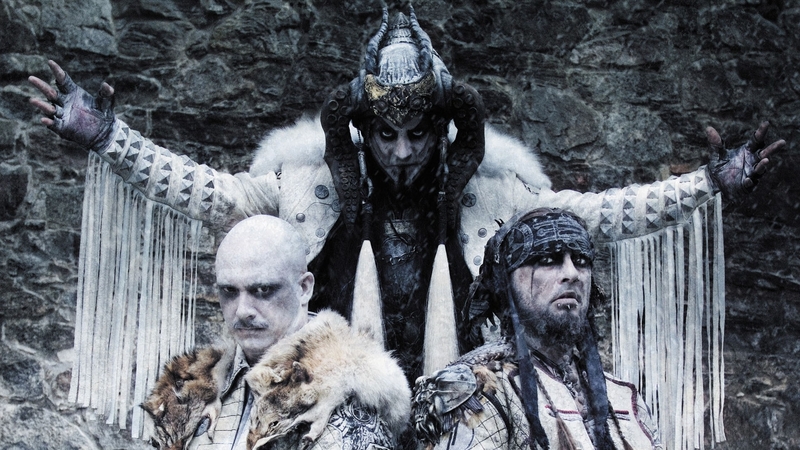 In what was a long way coming Dimmu Borgir repositioned itself as a heavily orchestrated symphonic metal band, even though they kept up the black metal charade for the sake of its established brand name. “Abrahadabra” is the high-budget, populist equivalent of its unforgivingly slapdash 1994 debut “For All Tid”. Almost two decades after forming Dimmu Borgir is at the same spot as they were when they formed. Nothing about the record sounds remotely threatening, or morbid in either its songwriting choices or the atmosphere the band aims to convey. It mostly sounds very expensive, and a bit unsure of itself. This uncertainty mostly comes from the band throwing together disparate elements from its recent past (2001 and onward) in a desperate bid to sound coherent. Thankfully there are no more experiments with industrial and electronic music, so at least they learned something. The first record without long-time keyboardist Øyvind Sven Mustaparta (Mustis) and bass guitarist/clean vocalist Simen Hestnaes (ICS Vortex) is a simplified version of “Death Cult Armageddon”, itself a watered down version of “Enthrone Darkness Triumphant”, which in itself was a vanilla edition of various popular metal styles, with a speed boost as heard last on the incoherent and rightly maligned “Puritanical Euphoric Misanthropia”. At least it subtly breaks from tradition by being only the second album (and the first on Nuclear Blast Records) so far to not have a gimmicky three-word title. A good portion of the lyrics are meaningful this time around as that they deal with the acrimonious, much publicized split of its two former members, and the rebuilding of the brand during the aftermath. 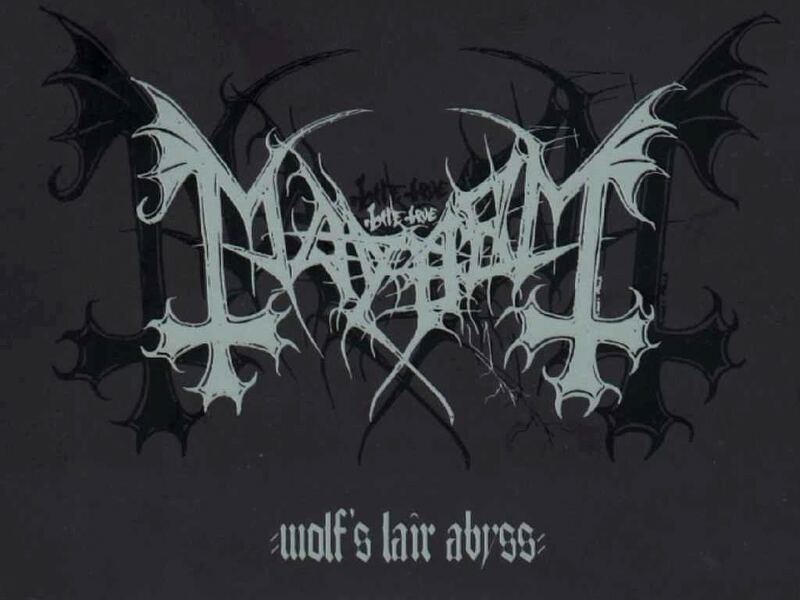 Almost half of the songs are dedicated to the subject (‘Chess With the Abyss’, ‘Dimmu Borgir’, ‘Ritualist’, ‘Renewal’ and to a lesser degree ‘The Demiurge Molecule’). The lyrics to ‘Born Treacherous’ seem to at least mildly suggest that the trio is content to be lost in its own little fantasy world, detached from reality. ‘Dimmu Borgir’, the band’s ideological vessel in the face of recent tribulations, even sounds strangely uplifting and life-affirming – which is about the worst thing that could happen to any self-respecting metal band (power metal excepted), let alone one which goes out its way to sell itself as black metal, of all things. No doubt the production work is excellent, but it is completely and utterly wasted on a band of this ilk. Imagine what Bal-Sagoth could pull off with this type of leverage and resources at its disposal. ‘The Demiurge Molecule’ is a much slower cut, thus playing up more to the band’s limited skill set, and one of the few highlights of the album. The lower tempo recalls the band’s earlier pre-Nuclear Blast material, and it is probably the only cut worth remembering. That the band is at the exact same place as songwriters as they were when they formed in 1993 is a telling fact. ‘A Jewel Traced Through Coal’ is a fast song that recalls the stronger written cuts of the “Puritanical Euphoric Misanthropia” era. At its most potent and inspired this songs here aren’t able to hold a candle to Emperor’s or Limbonic Art’s prime era material. The keyboards are thankfully kept to a bare minimum, merely functioning as an atmospheric enhancement in the background in most of these songs. If there is one upside to the schism within the band’s ranks this must be it. Shagrath is a better keyboardist than he ever was a singer, guitarist or drummer. The band has become so reliant on the backing of the orchestra that the moment they lose its services the carefully constructed façade (and much of its repertoire) comes crumbling down. Less is more, but in Dimmu Borgir’s case they need more to hide how less is actually going on in these songs. For a band that was once considered an innovator in its niche they have little to show for it after all these years. The guitar leads/solos, appearing only in two instances, aren’t played by any of the core trio as one would reasonably expect given the acrimonious split that led to the conception of the album, but by producer Andy Sneap. We are indeed a far way from the bygone times when Australian transplant Jamie Stinson (Astennu) pushed the band to the very limits of its abilities, and into more muscular territory in his lamentably short tenure. The bass guitar is audible, but it hardly does anything worthwhile. A lot can be said about Simen Hestnaes, but at least he would craft funky bass licks if the material was up to the required standard. “Puritanical Euphoric Misanthropia”, an album mired by its horrid experimentation with industrial, at least was redeemed by its throbbing bass lines and relentless drumming. Speaking of which, Polish musician Dariusz Brzozowski (Daray), most famous for his run with stalwarts Vader, is another in a long line of underutilized drummers, but he is given nothing worthwhile to work with. Along with the bass guitar he is demoted to merely interchangeable studio musician status. While the band’s output over the years has been pitiful at best, and downright terrible at worst – this supposed comeback album has failure, exhaustion and desperation written all over it. The very same critical flaws that (for some hitherto unexplained reason) make the band’s pre-“Enthrone Darkness Triumphant” material loved appear here only magnified to the point of annoyance and excess. From the endless chugging and needless repetition, the atmospheric breaks to the poorly stitched together songs with little to no attention paid to coherence or flow. Nigh on two decades after its lamentable debut “For All Tid” there has been no evolution to speak of, or worth noting with Dimmu Borgir. Despite the expensive high-end production values, the numerous guest vocalists and ornate stage outfits the undynamic trio of Shagrath, Silenoz and Galder haven’t evolved as musicians in the slightest. The artwork by Jeremy Luetke is stylistically nearly identical to that of “Death Cult Armageddon”, but it is as inconsequential as everything with this unit. The orchestra, as was the case with “Puritanical Euphoric Misanthropia” and “Death Cult Armageddon” before it, does all the heavy lifting for the band in terms of arrangements and moods – while the trio is content to just chug along. Regardless of its increase in production budget, resources and visibility on the market the band’s lack of growth as songwriters here spells certain demise. 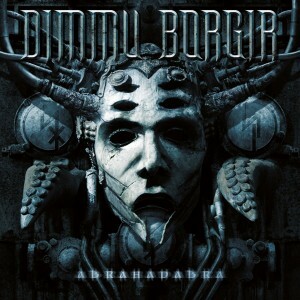 “Abrahadabra”, regardless of its big-budget production and extensive marketing campaign, has Dimmu Borgir at its lowest.